When are we getting those Hermetic holidays off? One of the things I realized about my recent course upgrade was that there were so many features, so much new software, images, lessons, readings, etc., that it really got overwhelming. But, then I realized that this was true of traditional astrology and astrological magic in general! "I don't think it's strange for us to have laws that protect against fraud," said Clifford Royalty, zoning division chief in the Montgomery County attorney's office, adding that "religion has nothing to do with it. He's not made that allegation in the lawsuit." "The practice is fraudulent," Royalty said, "because no one can forecast the future." There you have it folks! But amazingly enough that's what traditional astrologers do, day in and day out. No, it's not 100% but I can tell you that we do far better than economists for example, in our predictive accuracy. But to be as accurate and comprehensive as it is, traditional astrology needs to be complex to model the complexity of real life. Think about astrological magic. Here is a system that allows you to pick the absolute best times and to capture the energy and spirit of those times in physical objects. Here the complexities of reality also manifest in the complexities of traditional astrological magic and bring great influence and power. Oh, man, though, all this can seem overwhelming! If you are new to Spiritus or have been lurking for awhile, the jargon and technical content can be daunting. "How could I ever do this?" But remember folks, little more than a decade ago, I was in the same boat. I knew nothing about traditional astrology and even less about astrological magic. I had a teacher for horary, but then I had to laboriously learn astrological magic by myself. There was no one to turn to, no one to ask questions of, no one to help me put the pieces together. I knew that astrological magic had incredible potential and it fascinated me, but I had no choice but to slowly, painstakingly and even agonizingly at times, parse its mysteries. Folks, you've been saved from all this. Don't get discouraged because after my ordeal I swore no one else would have to make a similar effort. Yes, there is a lot to master, but you CAN do it, because I have gone through in my courses and made learning traditional astrology and magic, clearly, straightforward and simply step by step! Mini-Course It's all here, lessons, beautiful Nigel Jackson talisman images, and all the software you need. But most importantly, it's all laid out clearly for you. All you have to do is read the material and follow the steps. It's easy to feel blown away, intimidated by the technicalities when you first approach traditional astrological magic. I remember feeling like I could never get this stuff! The trick is you don't have to learn it all at once. You can do it, just like my students do, and way, way, way easier than I had it. That old proverb of a journey of a thousand miles starting with a single step only had part of it, the whole process of learning traditional astrology and astrological magic is just baby step after baby step. Even though my Astrological Magic full course covers the whole range of astrological magic all you have to do is one little step at a time! Plus I teach all of my courses personally. If you have a question about the current lesson, I am right here, by phone or e-mail to answer it. So don't be overwhelmed by the choices or thinking about all of the material at once! Check out the courses I offer and be confident that even though in the end you will be able to predict the future and create powerful talismans, that the process itself is clear and step by step. I got an amusing e-mail the other day and I couldn't figure out if the sender was serious or kidding around, but they said that they were very interested in Hermeticism and wanted to join my religion so they needed to find out what they should believe and what the holidays were! Of course this is doesn't have anything to do with Hermeticism. There isn't now and there wasn't ever an organized Hermetic religion, it appears to have been propagated by loose circles of disciples guided by a master. It never had mass appeal or any official representatives. Instead it appears to have had practical preparatory studies like alchemy, astrology and magic that applied the philosophy and practical spiritual insights of Hermeticism as well as being a path for a few individuals seeking mystic union with the divine. What's amusing about the e-mail seeking Hermetic holidays (Hermes birthday? Hermes cards, "Happy Hermes Day!" Hermes Day Sale, one day only, New federal holiday, the mind reels) is that it uses a very common mental template for organizing anything spiritual. If one encounters a new "religion" which is basically anything spiritually oriented, one expects that it will provide a complete and standardized, off the rack set of practices and beliefs. It will be organized, it will need staff, buildings and income. But even more importantly it will be exclusive. One is either a member or not, it is not possible to follow more than one religion. I remember meeting an American "Buddhist" that regaled me with tales of their difficulties in the rural South since they refused to celebrate Christmas being Buddhist. Except that, as a rule, Buddhists don't have any problem with Christmas! It's typical in Japan, for example, to go to both Buddhist and Shinto temples without any sense of contradiction. Certainly this open and easy blending of various spiritual paths was common in the pre-Christian pagan West as well. But as you can see from my American Buddhist example this is not simply a matter of the evils of "monotheistic religion" It has more to do with the unconscious acceptance of religion as a matter of belief, rather than experience, of exclusivity and external authority over the individual. But perhaps more importantly, the purpose of religion is seen as a collective identity and primarily as a source of ethical rules. I wouldn't want to deny the importance of being part of a spiritual community or having a source for ethical advice and instruction, but this is not all that a spiritual practice can consist of. As much as modern pagans, etc., may condemn Christianity and in particular the Catholic Church, it has managed to preserve the monastic tradition of contemplation and mystic union with the divine. Hermeticism never organized itself and never really had a mass or collective identity. It never focused on ethics, though ethical behavior was certainly important in and of itself and as a means to purification for mystic union. At the moment, there are not many that really practices Hermetic mystic union, though I'm certainly working on it. Thank goodness, though since that means I don't have to worry about getting the Pentagon to put the caduceus of Hermes on the gravestones of dead Hermetic soldiers or fight for Hermetic chaplains in prisons. 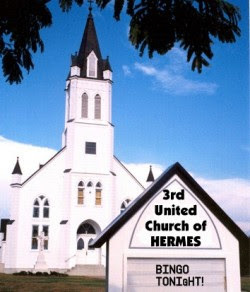 I don't need to do any fundraising for the new Hermetic church building, or Hermetic charity work or go door to door soliciting for new converts to Hermes. Hermeticism can continue as the underground stream of Western esotericism and I can play my small role in its current revival. It's important to take various systems on their own terms and not apply a "this is the only way to do X" attitude at the same time realizing that not all methods are equally valid. I had an amusing conversation with a client who had consulted a Vedic astrologer and was told that she was "actually" a Pisces [ie Sun in Pisces] not an Aries [or vice versa, I can't remember]. I replied that that was like when I was in Europe and they told me I was "actually" a shoe size 30! Modern magic will often suggest that the New Moon and Full Moon be used for benefic ritual. When, however, we switch to traditional astrology, we need to recognize that our approach is different. Thus right before or right on a New Moon is not a good time for benefic ritual or talismans. Again, since the Moon is afflicted, this is not appropriate for benefic ritual. "Wherefore draw your attention to that which we have said before concerning her being] fortunate and infortunate, increasing [waxing] and diminishing [waning]in light, because after separating from the Sun she secures his strength then she moves to be in a sextile, square, trine and opposition aspect. And she receives strength from the stars and planets when she is connected by the aspects we have mentioned before. 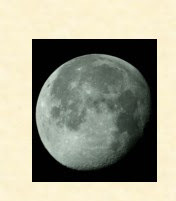 And if you find the Moon increasing in light then her strength and power is good and useful in all works to bring about increase and if you find the light [of the Moon] diminishing it is suitable and harmonious for all works in which you wish diminution. And after the Moon separates from the conjunction of the Sun [New Moon] all the way up to a sinister [against the direction of the signs] square until it arrives at an opposition [Full Moon] it is always good and harmonious for buying and selling, trials and asking for the repayment of debts, debates and councils for everything you require. And after separating from the opposition of the Sun and crossing to the dexter square all the way to the conjunction of the Sun it is good and appropriate to [pay] for debts that you owe and for those who keep possessions to return them to others and for wisdom and for asking and inquiring into truth. " Picatrix, Bk II, ch 3. Traditional astrology does take into consideration the Moon's phases, but integrates their use along with a variety of other considerations. So, it is important not to assume that what one has learned in one system can be simply imported into another. This is true of modern astrological technique and magical timing methods, both of which differ from traditional astrology.